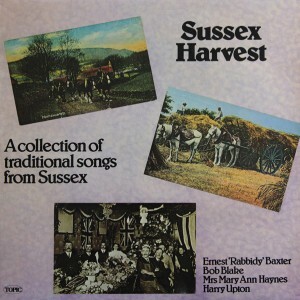 Sussex has long been a county associated with folksong. In 1843 the Reverend John Broadwood published his Old English Songs with tunes, â€˜set to Music exactly as they are now sung, to rescue them from oblivionâ€™, and words, â€˜in their original Rough State, with an occasional slight alteration to render the sense intelligibleâ€™. Broadwood, a Sussex country vicar, had played the tunes on the recorder to his organist, so that the latter might write them down, but was surprised to be told that he had â€˜got them all wrongâ€™. It was only when the organist heard the singers for himself that he realised, to his amazement, that supposedly illiterate peasants were singing perfect melodies outside the common major and minor scales. 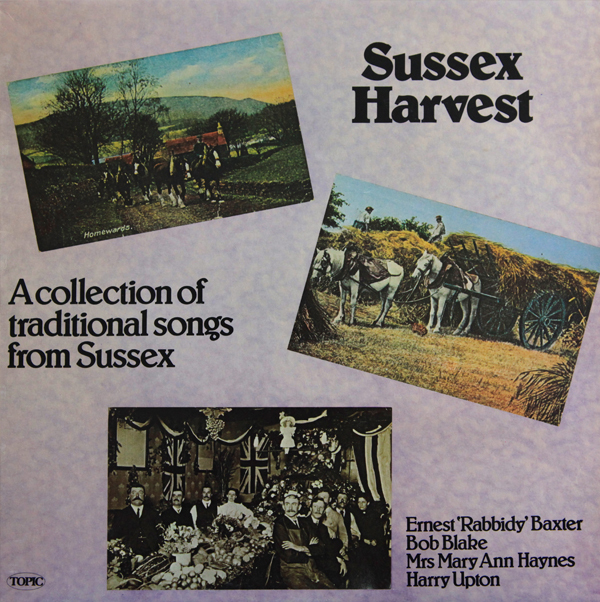 To Broadwood, as to almost every subsequent collector, the folksongs were to be collected because it was believed they would be gone from us within a generation. This record attests that this was not to be so, that songs and singers were to remain active, if not exactly common.